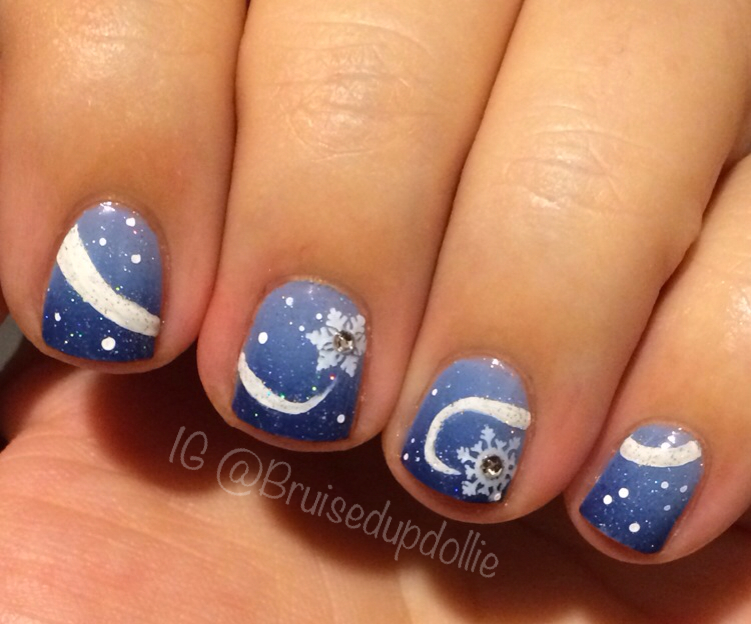 Have a look at the amazing holiday manicure she came up with! Hello Everyone! First I would just like to Thank Zenorah for having me as a guest post on her blog! Thank you, I am really honored! As soon as Zenorah asked if I’d like to be a guest, I had a minor fangirl moment, said yes… Of course! And then the ideas started to hit me! Something wintery and sparkly might be nice. 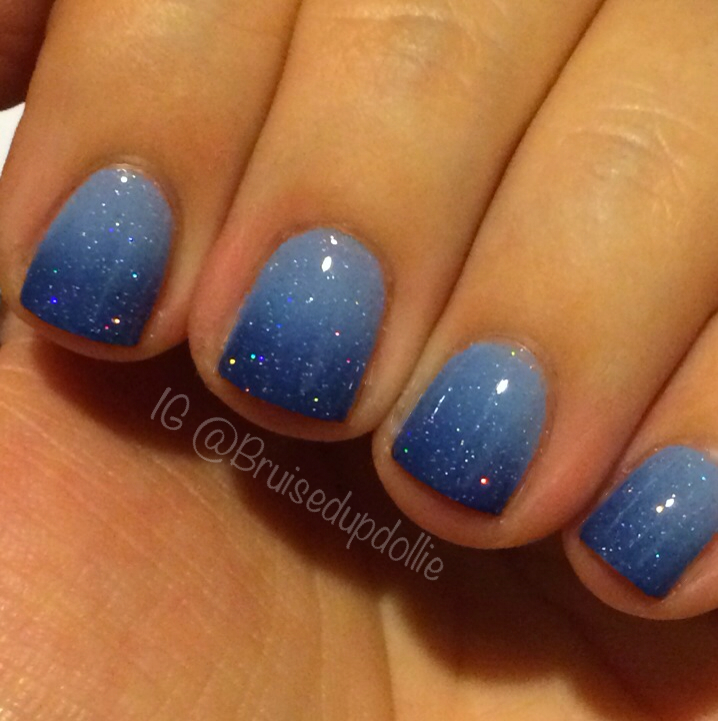 So here is the manicure I came up with, A blue gradient background topped with fairy dust for that tiny hint of sparkly holo. Thank you again Zenorah for the huge amount of love and support you show us fellow polish obsessed lovelies! I for one really appreciate it. Note: A VERY huge thank you to Lo @Bruisedupdollie for doing this blog post and creating such an amazing manicure!! Please note that her pictures & creativity are 100% owned by her, so please contact her directly for consent on using her content.